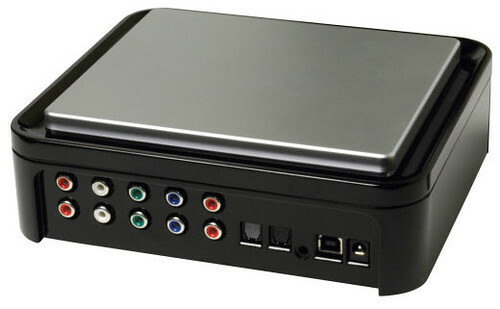 Are you one of the many anxiously awaiting Hauppauge's new HD-PVR? If you go to the Hauppauge website it still tells us that the HD-PVR will begin shipping on May 1st, 2008 (see screen-shot taken today below.) But there is new information that says that isn't the case. Unfortunately, I have confirmed with Hauppauge that the first shipments will not happen on May 1st. Instead, the earliest, expected shipment dates are mid-May 2008. I'm a little disappointed in this, but not all that surprised. I've heard from representatives of SageTV and Snapstream (BeyondTV) and both of them seem to be as ready for the device as possible, but word is Hauppauge is still working on the drivers to get them just right. If this means the drivers will work better with the software then it is certainly the best decision to get thing right before putting it in the hands of the users, but I'm still a little disappointed. WHEN WILL YOUR HD-PVR PRE-ORDER BE SHIPPED? If you're order number is after 34600, it will likely be after May 2008. At first glance, I thought this information might mean Hauppauge had sold approximately 1,900 pre-orders, but it was pointed out to me that Hauppauge of course sells other stuff (duh) so it's difficult to say how many HD-PVRs are in those number. I was originally set to post a detailed "everything you need to know about the Hauppauge HD-PVR" post tomorrow, but given this news I'll probably wait until closer to the shipping date. If you have specific questions about the device you want me to cover, let me know in the comments. I also plan to review the device very near shipment date so stay tuned to Geek Tonic!